General Tommy Franks, commander of the U.S. Central Command, answers a question at the daily Pentagon briefing. 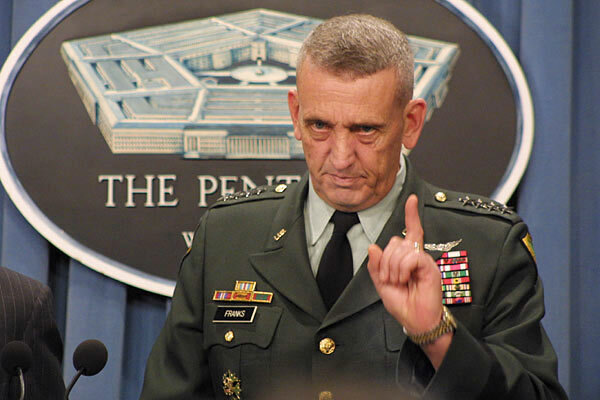 March 5, 2003 - General Tommy Franks, commander of the U.S. Central Command, answers a question at the daily Pentagon briefing. General Franks was at the Pentagon to have meetings with Secretary of Defense Donald Rumsfeld (not pictured) about possible future operations inside Iraq.